The Serveredge Gigabit Media Converter SED1000MSC(550m) allows you to transparently connect your Gigabit Copper cabling system (10BaseT100BaseTX or 1000BaseT) with the fibre optic cabling system(1000BaseFX) . 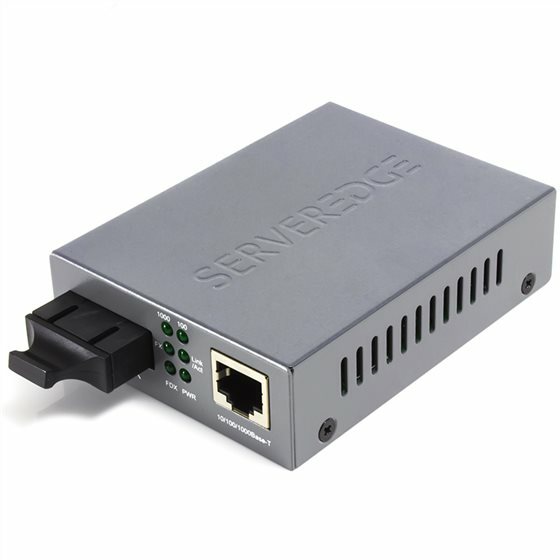 This media converter provides a long distance connection between legacy 10BaseT and 100BaseTX networks and the 1000Base Gigabit Ethernet networks.The SED1000MSC(550m) incorporates advances features such as AutoNegotiation AutoMDIXLink Pass Through Fibre Fault Alert and loop back . This Unit can be used as a standalone unit or as a slide in module in a 14 slot Media Converter Chassis.